This team is determined to win the local polls in San Juan, La Union! Councilor and vice mayoral candidate Miguel “Migz Magsaysay posted a picture of the Team San Juan he is part of for the May polls. “WE WILL GIVE THEM A GOOD FIGHT,” said the politiko in the caption. 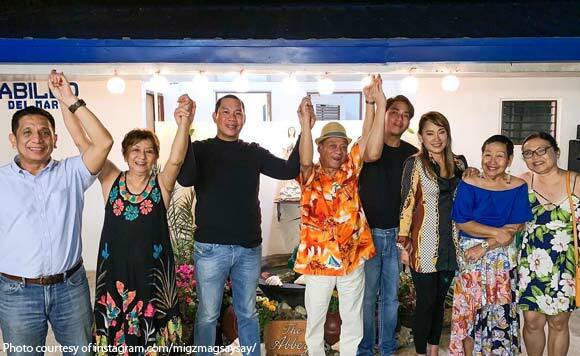 Joining him in the photo were his father, Vice Mayor Miko Aquino Magsaysay, former Councilor Lormi Cabildo-Santiago, former Mayor Alfonso Aquino II, Anna Magsaysay, Mency Zuniga, and Tita Ely Ursua.